Heather Davidson is a speech-language pathologist in Rochester, NY. Practice Type: • Preschool Practice Areas: • Speech Language Pathology • Apraxia • Autism Take the next step and contact Heather Davidson for a consultation in Rochester, NY or to get more information. Erika Brace is a speech-language pathologist in West Henrietta, NY. Practice Type: • Home Health Agency - Client's Home Practice Areas: • Speech Language Pathology • Speech Therapy Take the next step and contact Erika Brace for a consultation in West Henrietta, NY or to get more information. Ellen Shulman is a speech-language pathologist in Rochester, NY. Practice Type: • School Practice Areas: • Speech Language Pathology • Language acquisition disorders • Multilingualism • Speech Therapy Take the next step and contact Ellen Shulman for a consultation in Rochester, NY or to get more information. Linda Pratt is a speech-language pathologist in Penfield, NY. Practice Type: • Related Professional Org Practice Areas: • Speech Language Pathology • Accent Modification • Communication Improvement and Public Speaking Take the next step and contact Linda Pratt for a consultation in Penfield, NY or to get more information. Angela Poskus is a speech-language pathologist in Victor, NY. 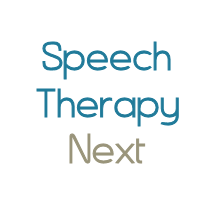 Practice Type: • Speech Hearing Center/Clinic Practice Areas: • Speech Language Pathology • Fluency and fluency disorders Take the next step and contact Angela Poskus for a consultation in Victor, NY or to get more information. Susan Cochrane is a speech-language pathologist in Rochester, NY. Practice Type: • Office Practice Areas: • Speech Language Pathology • Fluency and fluency disorders Take the next step and contact Susan Cochrane for a consultation in Rochester, NY or to get more information.